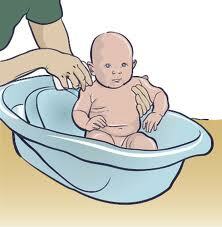 Bathing is an important part of Atopic Dermatitis care. Bathing can remove dirt, allergens and microbes from the skin. However, it is important to understand that bathing alone is not adequate. 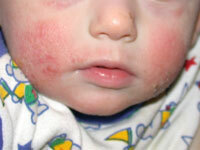 Bathing can actually dry out the skin by removing natural oils from the skin and cause the Atopic Dermatitis to flare. Also using harsh soaps, scented soaps and lotions during bathing can significantly irritate the skin and dry out the skin. So it is very important to use mild unscented soaps for bathing such as Dove unscented beauty soap bar or gentle cleansers such as Aquaphor Gentle Wash, Aveeno Advanced Care Wash and Cetaphil Gentle Cleansing Bar. After bathing, do not forget the lock in the moisture by applying appropriate barrier creams immediately onto the skin. Patients with severe Atopic Dermatitis should see a qualified Allergist to determine the triggers that can cause the Atopic Dermatitis to flare.